Gordon Jaaback holds a B.Sc(Agric.) degree at the University of Natal. Initially he worked as an agronomist in Canada and New Zealand before returning to South Africa where he managed a reclamation and construction company in which he had the major shareholding. He moved to the UK in 1986 to open his professional practice. 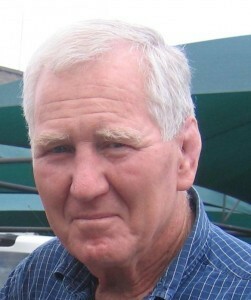 His expertise lies in agronomy, soil science and project management – and his main activity has been in the development of new sports pitches and in expert witness assignments, which have centred on disputes arising out drainage, design, construction and maintenance failures He is on the UK Register of Expert Witnesses, is a member of the Institute of Professional Soil Scientists and is a founder member of RIPTA. He has presented a number of scientific papers at international conferences and has lectured at local colleges. Details of major completed projects can be seen on his website.